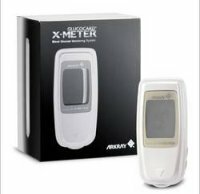 Home Delivery Medical will be offering their brand new Arkray Glucocard X-Meter, also known as the iPod of Glucose Monitoring Systems. Diabetics all over the world will definitely look forward to its release, as this device is sports sleek, bold and a simple look that might actually add even more credit to your overall geekiness. After all, it has already been years where the diabetic community has called for a glucose monitoring system that is not only functional but attractive. While companies have responded to this clarion call with smaller glucose monitoring systems, those required large blood samples while looking like a child’s plaything. Not so with the Glucocard X-METER, and you’ll know more about it right after the jump. 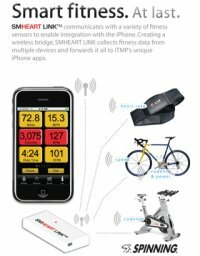 iTMP Technology, Inc. is one of the pioneers where the iPhone hardware and software developer scene is concerned, and the company has just rolled out its SMHEART LINK technology that is touted to offer unparalleled health and fitness capabilities to both the Apple iPhone and iPod touch owners. This technology turns your iPhone from a communications device to one that can actually monitor your heart rate as well as track your fitness levels. It does so by listening to your heart (something it does better than what guys do, eh ladies?). Not only that, SMHEART LINK works not only with the iPhone and iPod touch, but it will also function with a range of other smartphones, PCs or other Wi-Fi enabled devices. It is pretty heart wrenching to see a great deal of folk these days suffer from severely debilitating syndromes that leave them paralyzed as well as completely dependent on the assistance of others. Good thing medical science have advanced by some degrees, and among these include automated wheelchairs that allow such folks unprecedented freedom to move around on their own, gaining back their self-respect and esteem in the process. When it comes to assistive technology, researchers from the University of South Florida are pushing the proverbial envelope even further by working on a wheelchair that has its own mechanical arm. 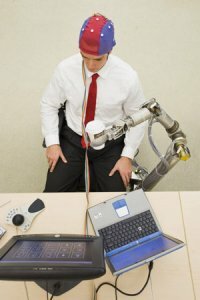 What makes this special is the wheelchair’s ability to hold a system that relies on EEG, reading the user’s brain waves while sending translated signals to the robotic arm to move it accordingly. Man and machine working together telepathically? I’m sold. It is often the fear of many to grow old, and that fear has led kings and emperors of yore to search for the elusive elixir of immortality, but much to their chagrin (and later, death), they found out the hard way that there’s no such thing as doing away with that part of life although modern medical technology has allowed mankind to live longer than our ancestors (also, we run less risk of being eaten up by a dinosaur while roaming around the plains with a spear). This extended lifespan which we’re experiencing at the moment does come at a price though – the older we get, the higher the chance of being struck down by a debilitating medical condition, and among them include Parkinson’s disease which affects our motor skills and memory. There is some light at the end of the tunnel though with the GaitAid Virtual Walker, and we’ll talk about that in depth right after the jump. Smoking is an unhealthy addiction, and those who resolve to quit this habit might find it difficult compared to others who have no problems doing it cold turkey. As Mark Twain put it sarcastically, quitting smoking’s easy – he’s done it a thousand times. For those who have the will to quit and yet find themselves lighting up once in a while in a weak moment, the Fifty-One electronic cigarette might come in handy if nicotine patches don’t seem to be able to do the trick. Their Electronic Cigarette Starter Kit will include an electronic version of the cancer stick that looks and feels just like the real thing, although it does boast some obvious advantages to its user. I suppose somewhere along the industrialization process, we forgot about sustainable production and decided that profits were the bottomline regardless of the huge environmental cost. This has resulted in unprecedented levels of pollution that has adversely affected our ecosystem, no thanks to the proliferation of plastic bags, while disposable products like diapers, eating utensils, paper plates and underwear all contribute to our landfills just because we want to feed the convenience monster within us. Granted, some efforts have been made to make these from recycled material, but most of it ends up polluting our environment even more. 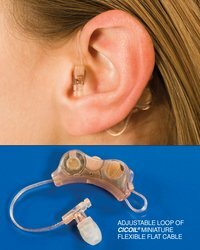 Today we have the Songbird flexfit hearing aid that is touted to be “the world’s first disposable hearing aid” to add to the growing list, and was specially designed to be an over-the-counter solution for folks who suffer from moderate hearing loss and require part-time hearing assistance. Nice to know that technology has progressed to a point where prosthetics are no longer there to make one look “complete”, as the i-LIMB Hand from Touch Bionics holds the distinction of being the first fully-articulating and commercially-available bionic hand in the world, featuring an innovative selective compression-stabilization interface system that allows one to live a somewhat normal life – at least one that is much more productive compared to the use of just one hand. Let us take a look at the i-LIMB Hand in greater detail right after the jump.